How do you group your products into product lines? You first create a grid of your business segments and your architecture styles to help group related products. Next, you analyze quality attribute requirements to understand the needs of the product line. Finally, create a shared architecture, infrastructure, and process for the product line. 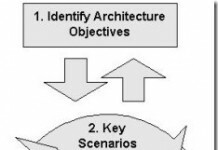 In A Practical Guide to Enterprise Architecture (Coad Series) , James McGovern, Scott W. Ambler, Michael E. Stevens, James Linn, Vikas Sharan, and Elias K. Jo write about how to create effective product lines. To analyze how to group products into product lines, the existing inventory of the application within the organization should be analyzed. One method of analysis is to create a grid with the business segments or organizations at the top and the existing architectural styles on the right. Business segments or organizations are aligned to the business need. 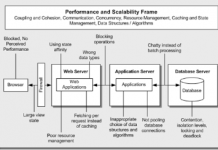 The architectural styles are classes of technologies, such as Web, client/server, and so on. Once the products are grouped into their respective product lines, each product line must be managed by a single organization. The product line manager and his or her team should conduct a quality-attribute analysis to understand the needs of the architecture for the product line. Then they should work toward creating a shared architecture, infrastructure, and process for the product line and begin to work towards that common shared vision for the product line that supports the desired quality attributes. Create a grid of business segments and architecture styles to help group related products. Perform a quality attribute analysis to figure out the needs of the product line. Create a shared architecture, infrastructure, and process for the product line.